Hello everyone! It's never too early to start preparing for the Holidays. 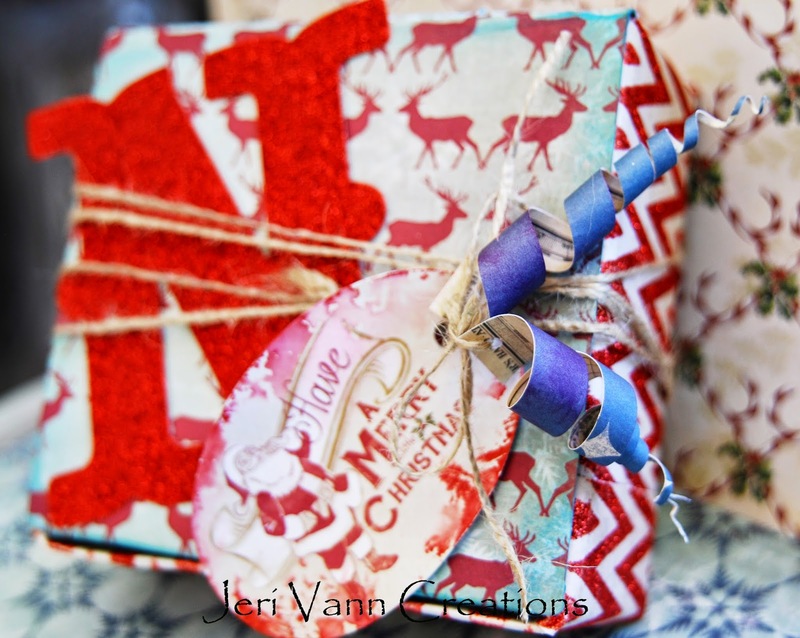 Here is a great idea for your personalized gift wrap this season. I love to reuse or repurpose anything I possibly can. Here, I took a not-so-appealing (but sturdy) box and transformed it into a sparkly personalized gift box. 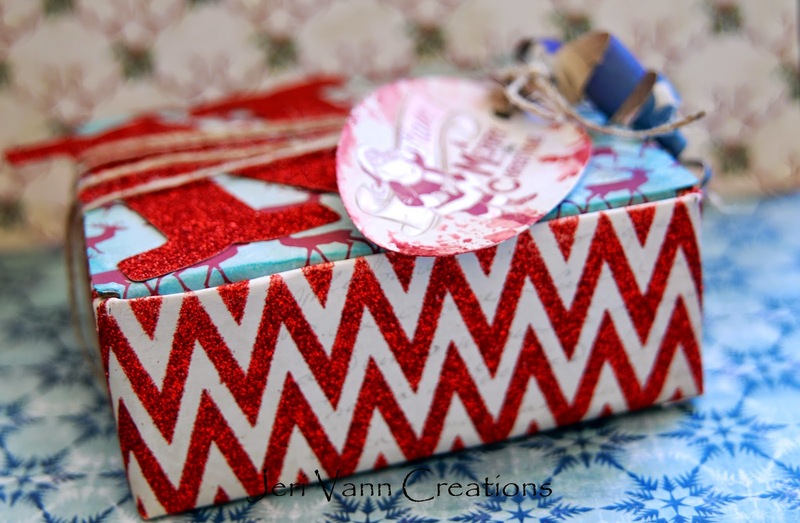 Using your favorite papers from the Joyous I Want It All Bundle by My Mind's Eye and some Tim Holtz Distress Inks cover the box and ink the edges. (I used ModPodge to secure the paper to the box) For the gift tag, I spritzed it with water and then touched the edges of the tag to a distress ink pad. It will run and bleed quick, so be careful! I took one of the letters from the Glitter Letter Banner package to create the 'personalization'. Then wrap it up with some Jute. Anther fun technique is to take some scraps, cut them in long triangle like shapes, roll them tight and then pull them longways. 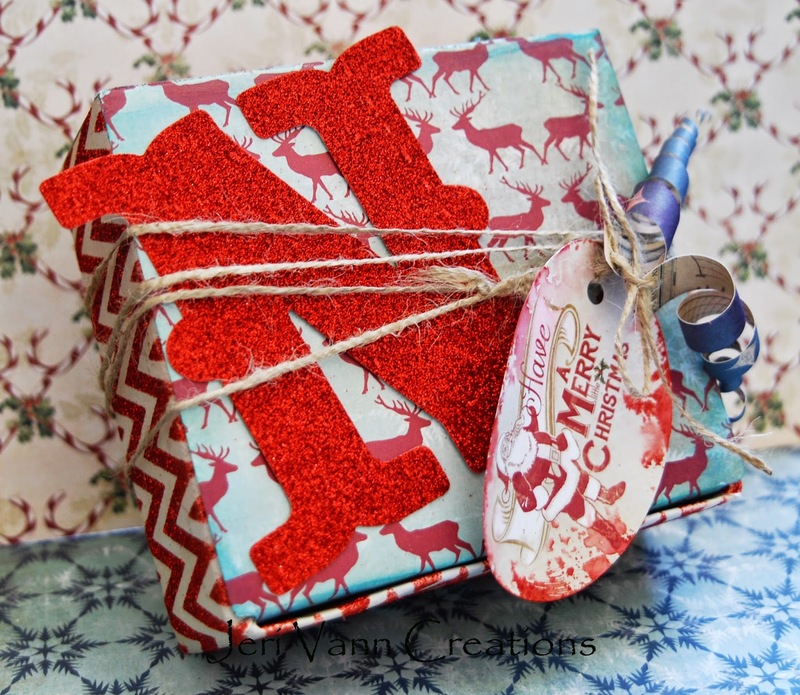 I punched a hole in them and added them as a fun detail to the gift tag tie. Such a great re-purposing project and it came out beautifully.